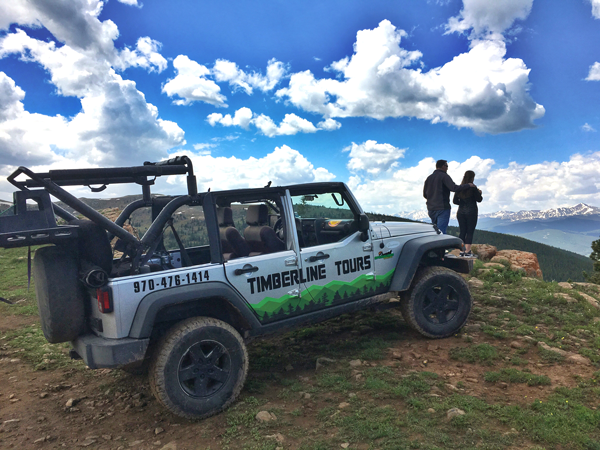 Timberline Tours jeep trips from Vail, Colorado to Piney Lake are a local favorite and a highlight destination for visitors. 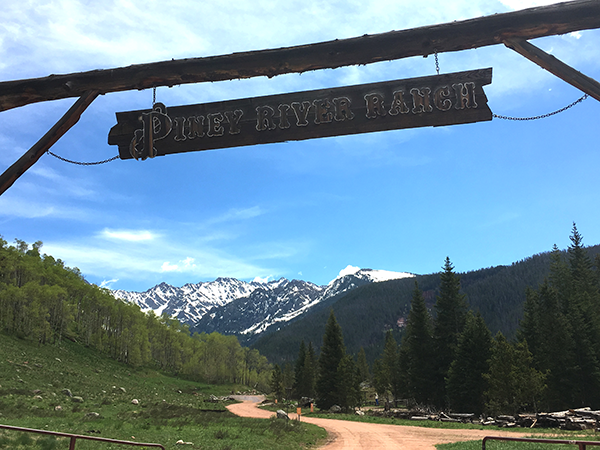 Nestled against the Gore Range at 9,350 feet, the Piney River Ranch and Piney Lake offer some of the best Vail scenery, and a jeep tour makes it accessible without miles of hiking. On this trip, our professional guides will take you deep into the White River National Forest to experience a family-friendly destination, and you won’t have to worry about directions or beat up your rental along the way. Just sit back, relax, and look for wildlife as you enjoy a mellow cruise to Vail’s most scenic high alpine lake. Since Piney River Ranch sits on the shores of Piney Lake, this jeep trip is great for small children or for anyone who might enjoy a civilized restroom break mid-trip. This jeep tour begins immediately in Vail as we begin driving up the popular Red Sandstone Road. Along the way, Timberline’s informative guides will answer your questions and share local knowledge of the area’s history, flora, and fauna. 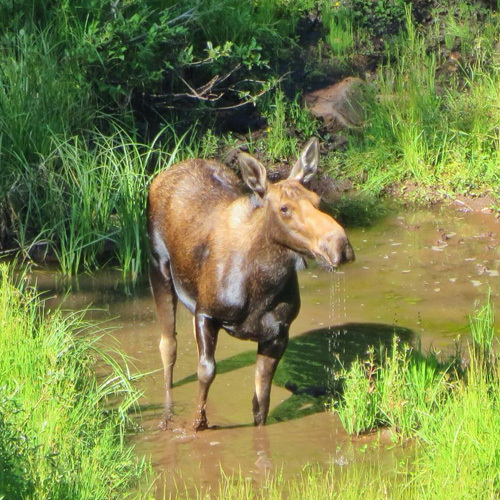 You’ll learn about the local ecosystem, including how wildfires and the pine beetle affect our area today, and you’ll explore sub-alpine swamps where Shiras moose often spend their days lazily chomping away on a variety of aquatic plants. Discover the signs animals leave behind such as bear claw marks and elk chews on the Aspen trees, and take a trip back in time as we pass old fur traders’ cabins while making our way all the way up to Piney River Ranch. 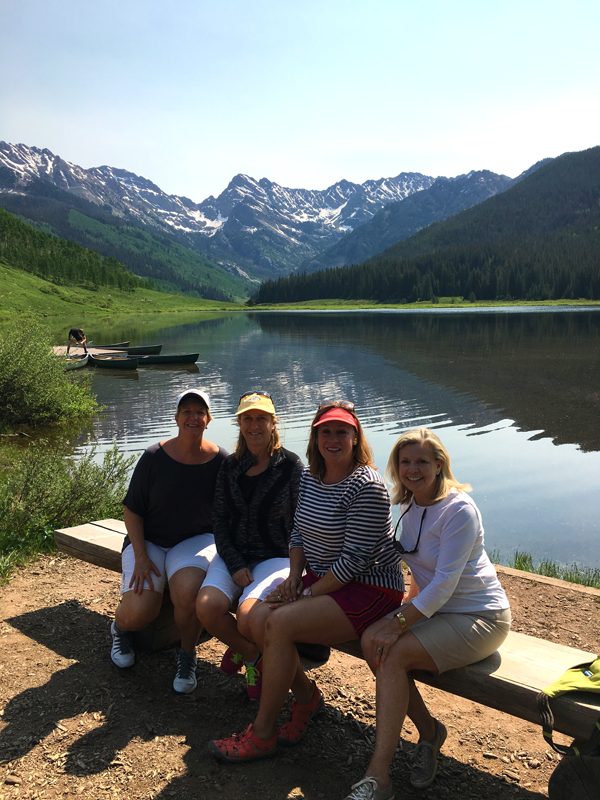 Piney Lake provides the picturesque backdrop at this destination, and Piney River Ranch offers a window into life as it once was in the Rocky Mountains. This private, 40-acre ranch was a thriving settlement in the late 1800s and is now a prime summer destination for hikers and fishermen. Restrooms are available at the ranch, where we can also take time to snack by the lake or search Piney River for gold nuggets and brook trout. Plus, you can even choose to have lunch or cocktails at Piney River Ranch’s gourmet restaurant while surrounded by stunning views of Mount Powell and Knee-Knocker Pass. From Piney River Ranch, groups may have the option of choosing the rougher Red and White trail to gain a maximum elevation of 10,500 feet. This trail offers views overlooking Beaver Creek and the Sawatch Mountain range, including the 14,005-foot Mount of the Holy Cross. Family-friendly and an adventure for all ages, this jeep tour is perfect for anyone who would like to experience the Colorado backcountry while also having access to some amenities along the trail. Note: As the Piney River Ranch jeep tour is very popular, the road can be busy during high season and on weekends.